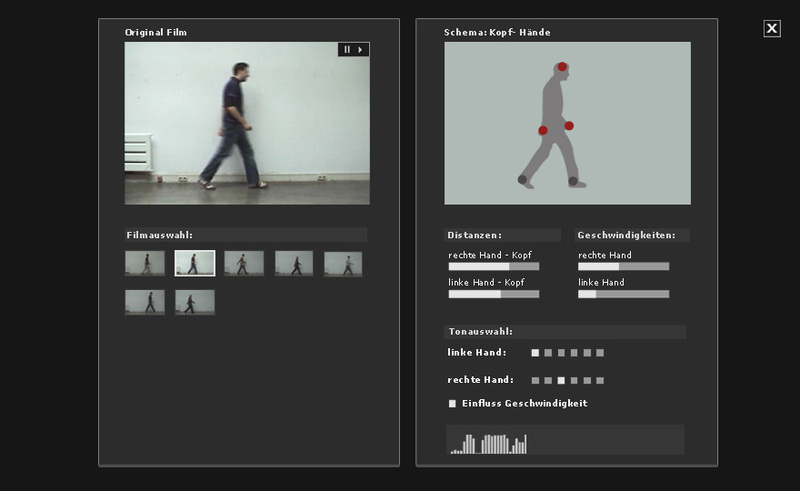 Everyone has their own motion profile in their every-day motion sequences (velocity, distances of the extremities, etc.). The approach of the work was to make this profile perceivable acoustically. Is there an individual identification melody or an individual identification rhythm? 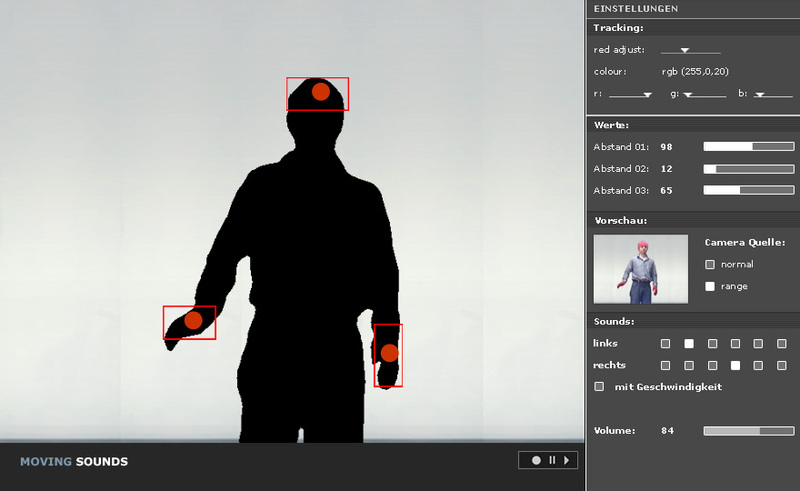 This application uses Webcam Tracking for obtaining human movement data. This information is used to create a sound pattern from different virtual musical instruments.